Just notified that my Santeria mystery/thriller 'A Wound In Time" that I wrote, produced, and directed last year at Nuyorican Poets Cafe is one of the hundreds of Off Off Broadway Productions listed in the important archive Theatre World v67. The production and it's credits are now available nationwide to scholars, industry professionals, students, producers, and the Library of Congress. 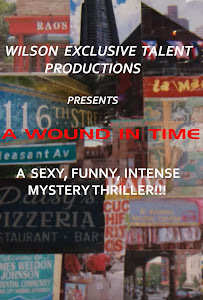 "A Wound In Time" will return to the stage bigger and better in 2012 with some familiar faces as well as new ones. The new production will be top notch to be professional filmed for DVD distribution. WOW! WHAT A WEEK FOR "AWIT"! ORIGINAL CAST MEMBER HOJI FORTUNA IS AT IT AGAIN!